On my second week at Interknowlogy they gave me a great task work around with Amazon’s Echo, which is a voice command device from Amazon.com that can answer you questions, play music and control smart devices. This device responds to the name “Alexa” (you can configure it to respond to Amazon too). So my main job was to try to find out how Alexa works. Alexa’s knowledge is given from her skills which you can add at the developer site of amazon . 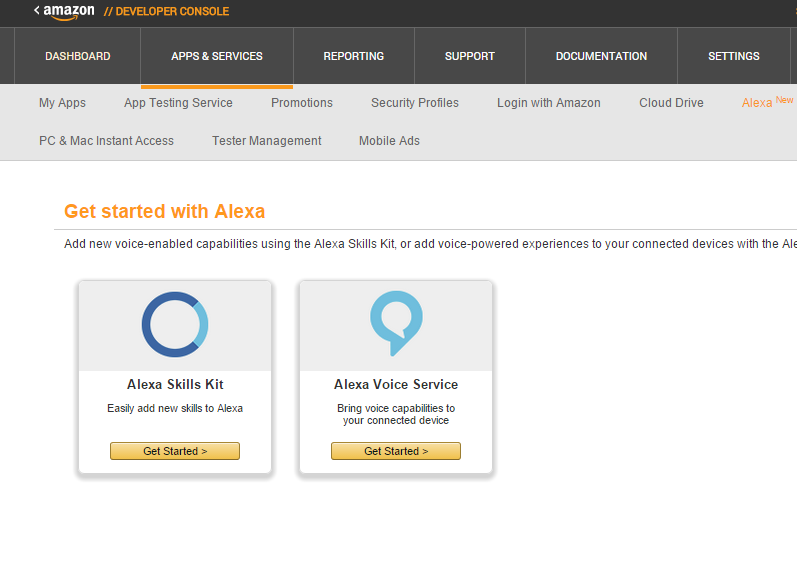 To access this site, you have to register and go to the Apps&Services section and get started in the Alexa Skill Kit. Each skill has a Name, Invocation Name (how users will interact with the service), Version and an Endpoint. The last option is the URL service that will provide all the info of your skill to Alexa, you can choose between two options for your endpoint, you can decide between Lambda ARN (Amazon Resouce Name), that has to be developed with Java or Node.js, or your own service, the only thing that amazon requires its that it has to be a HTTPS server. 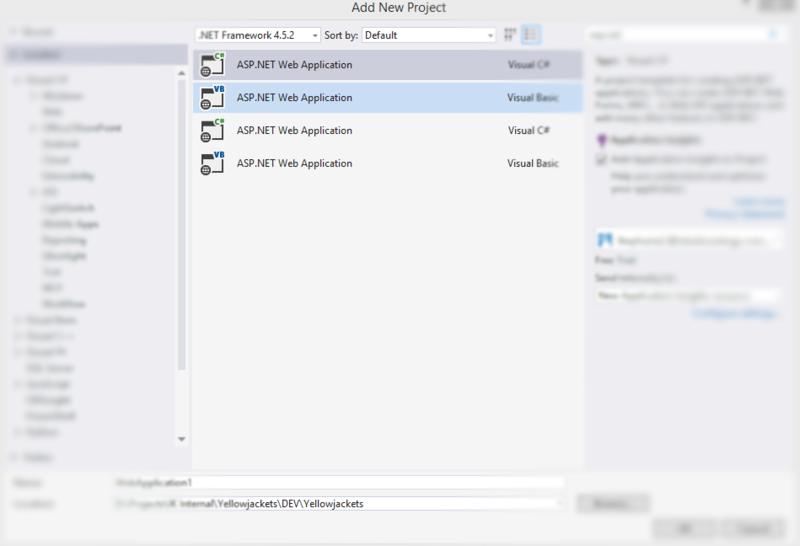 So I am going to explain how to do an Alexa skill in C# using your own server. 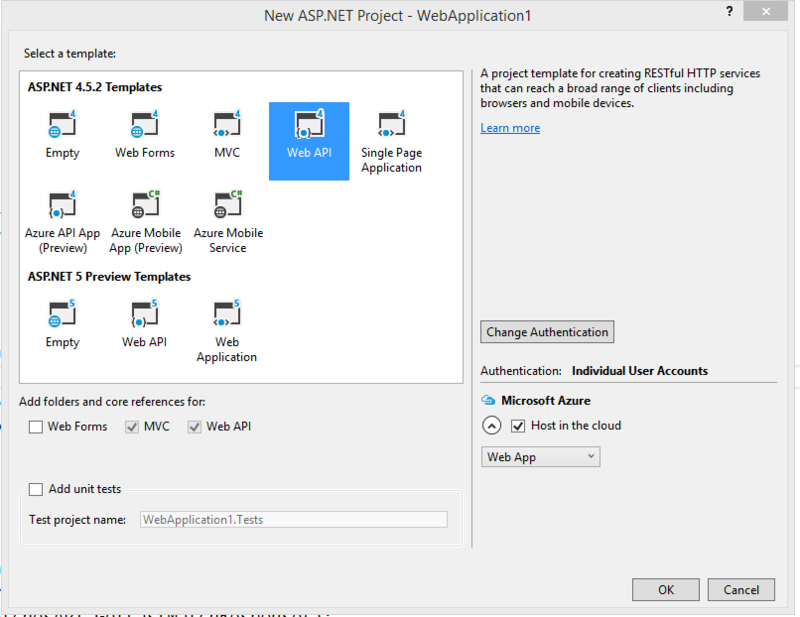 Choose the Web API option ( from ASP.NET 4.5.2 Templates) and connect it to an Azure Web App. So what we want to do is to create a Controller that will have a post method and this method will receive all the requests from Alexa. This method is called at the start of the application. This method will identify the intent that Alexa needs, so the API will receive an Intent with a name and it will be compared to do some action. This json format text describes that there will be two available intents, one named “LastScore” and the other one “GetPlayerLastScore”, and the last one recieves a “field” that is text. Welcome to the Interknowlogy’s Yellowjackets app, How may I help you? What was the last ping pong score for Kevin? The only available cards for devs (right know) are the Simple cards, that only contain plain text. 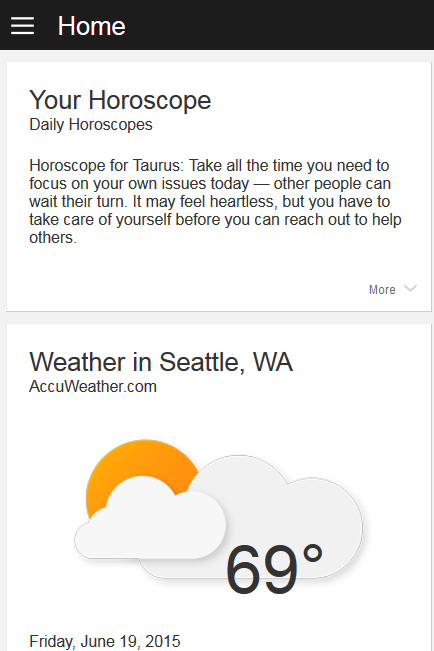 Cards with pictures are not open for non-amazon devs. // Create the Simple card content. // Create the speechlet response. 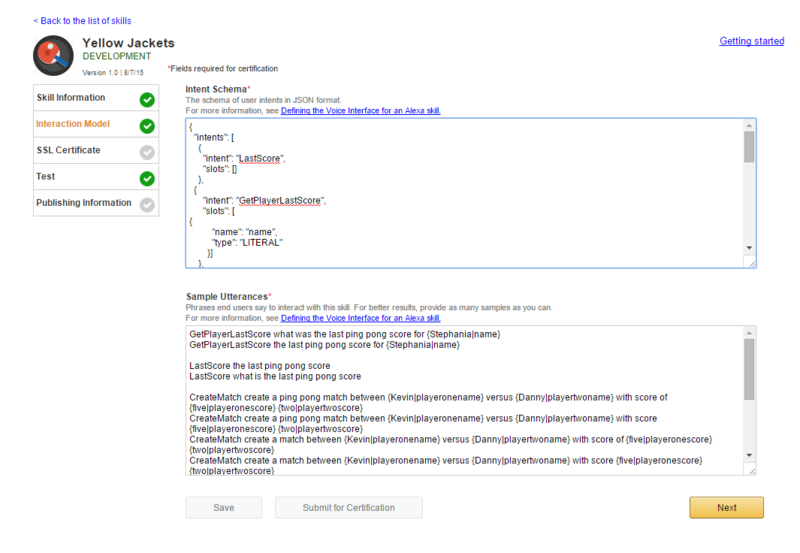 The next steps will be to complete the skill configuration at amazon’s developer site. 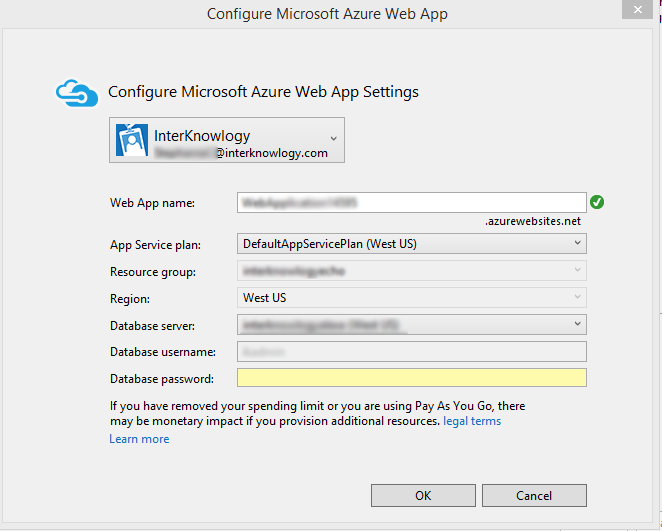 Which will be the SSL certificate, that will be pointing to my domain, because our WEB Api is a wildcard certificate from Azure. Also you need to enable test mode to check out your service and Alexa’s interaction in your Amazon Echo.